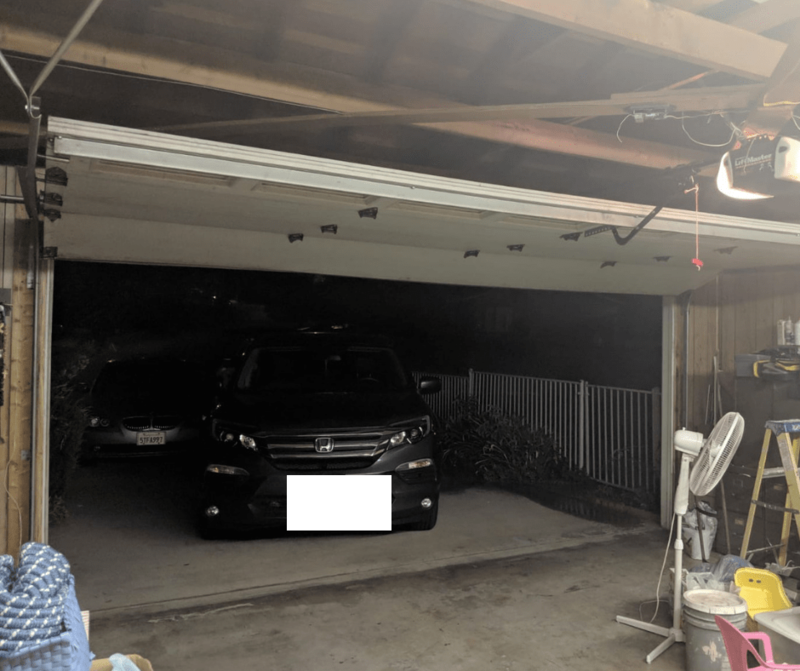 Sandra called on Halloween night around 8PM after her garage door was noticeably off track. Sandra she forgot a box underneath the door and while closing it, the garage door hit it. 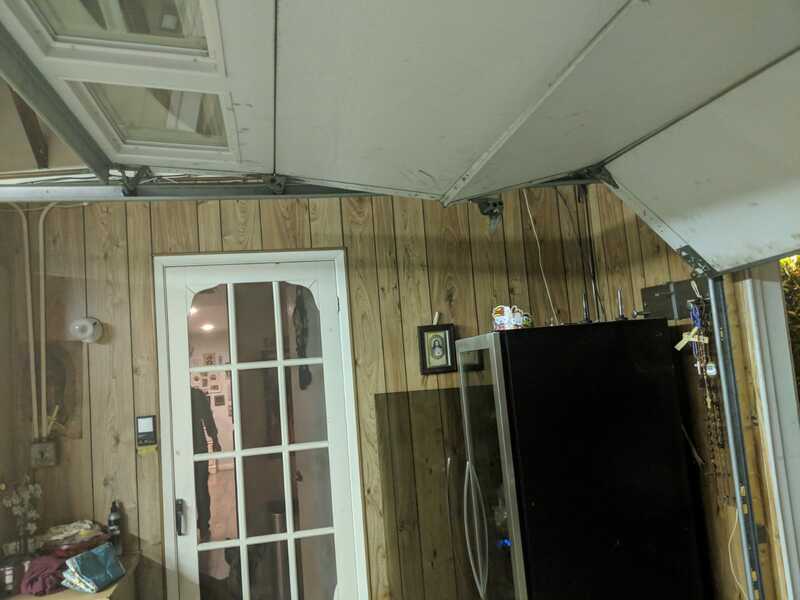 As a result, the door lost balance, and came off its track. The spooky noise scared her half to death! The door played quite the trick and was definitely not a treat. After calling GR8, the technician arrived soon after. We noticed that a few parts were missing in addition to the door being off track. We communicated this to Sandra and she told us that her husband tried to fix the door before calling us. 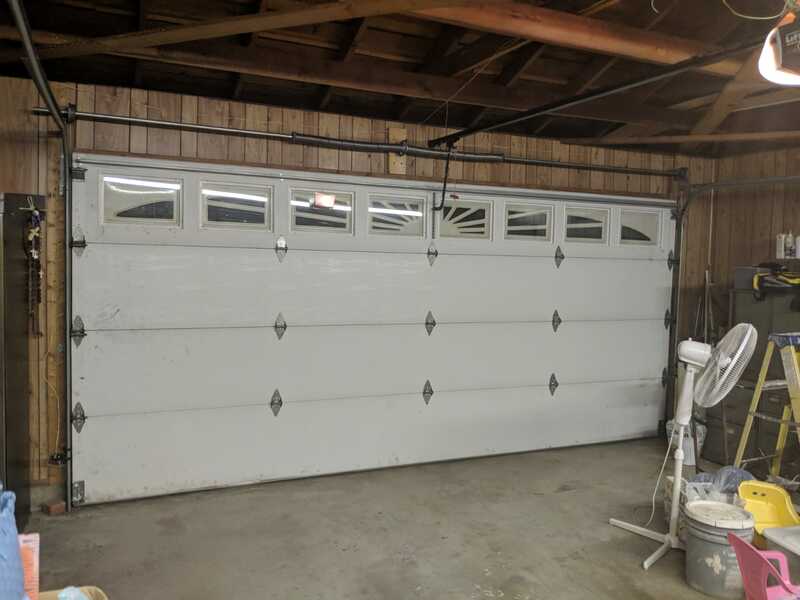 When it comes to an off-track door (or other garage door malfunctions that include the door not properly in place), we encourage people not to try and fix their garage doors! Please call a professional for your safety! Especially in the case of an off-track door, the door can fall and harm either you and/or your property! After the initial inspection, we had our plan of action. We needed to get the door down in order to proceed with the fix. 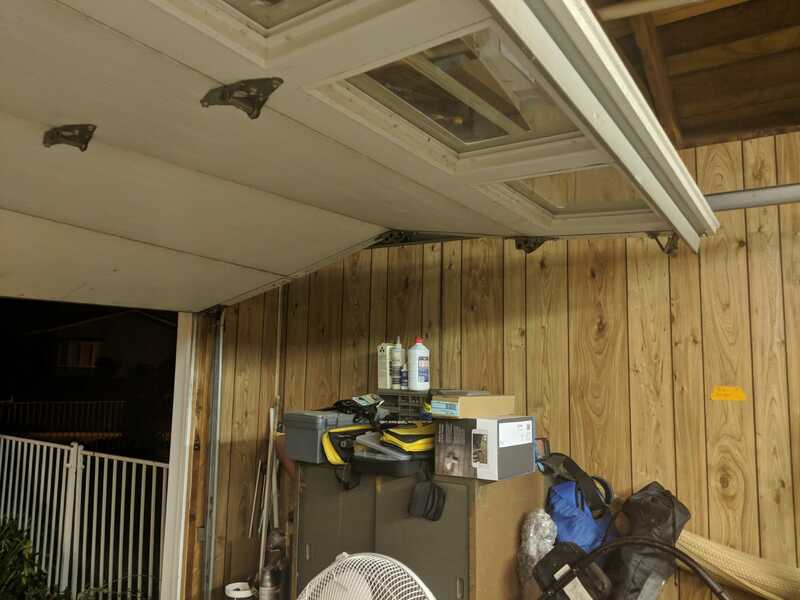 We were able to take the garage door down safely. 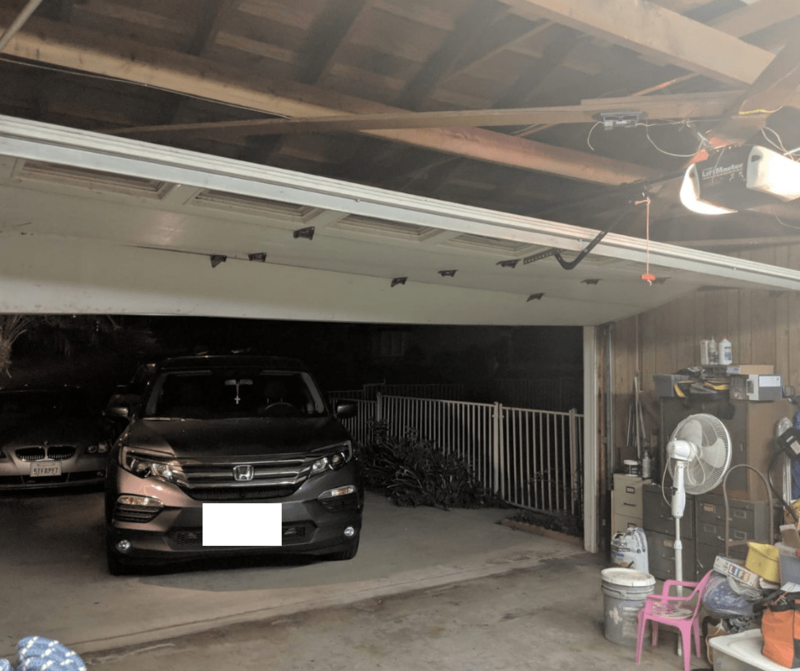 Once that was done, we balanced it properly, adjust the garage door opener. The opener should always be adjusted after a door is reinstalled and balanced. Opener and force adjustments should be performed by a licensed tech who can set it properly. Finally, we lubricated the door. Lubrication is an essential maintenance step and will help keep the garage door operating smoothly and quietly. Once we completed the job, Sandra told our tech that the door hasn’t sounded this good in a long time. Glad we were able to get to the door on the same night Sandra called and not just repair, but improve it! Thanks Sandra!